Nina and the Butterfly Fish is one of the projects I'm most involved in as a sideman. 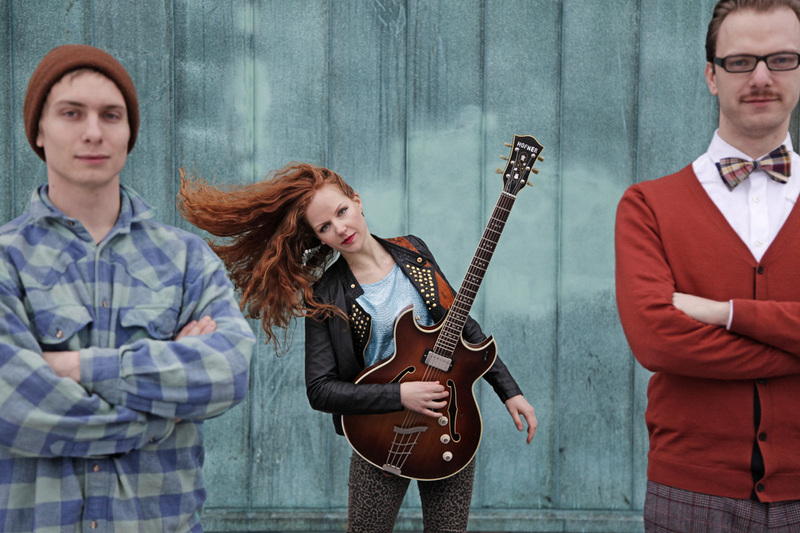 The trio is lead by singer and guitar player Nina Kristine Linge, who writes all the music for the trio. The music is a unique blend of pop, world music and jazz. Nina leads with her charismatic vocals and one-of-a-kind guitar playing, and Ivar Myrset Asheim supplies endless amounts of groove and sound textures. We released our first record on Bergland Productions in 2013. It's in Nina's name and it's called The Guesthouse. Available on iTunes, Spotify and Wimp. Physical copies can be found on Platekompaniet's website.